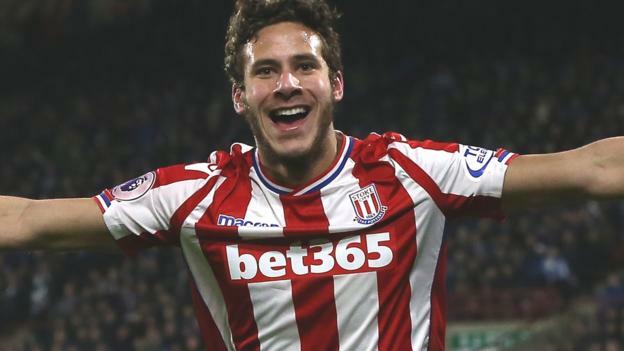 Huddersfield Town have signed Stoke City winger Ramadan Sobhi for £5.7m on a three-year deal. Sohbi, 21, is in the Egypt squad for the World Cup in Russia. He made 41 Premier League appearances for the Potters after joining from Al Ahly in July 2016, scoring twice. “I’m very happy that we will be able to welcome Ramadan to the club. He’s a real talent and has achieved a lot for a player who is only 21 years old,” said Town boss David Wagner. Sobhi is the third player to join the Terriers this season, after goalkeeper Ben Hamer arrived on a free and Monaco defender Terence Kongolo made his loan move permanent for a club-record fee.